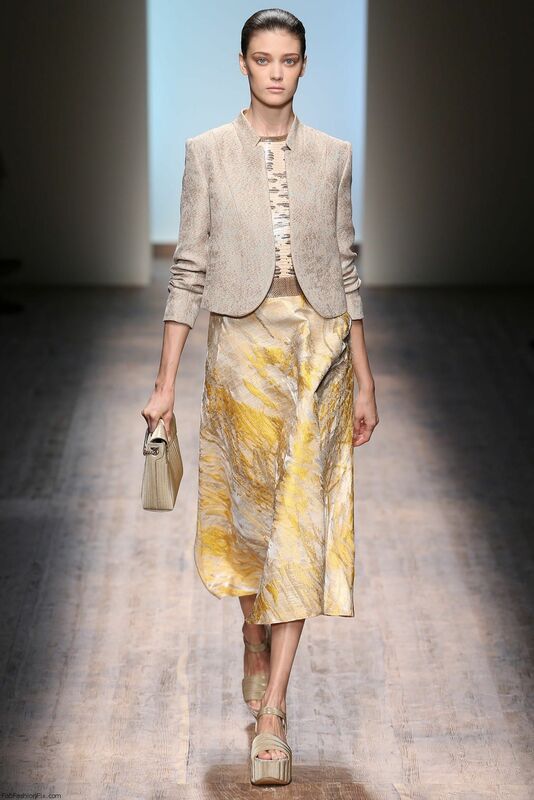 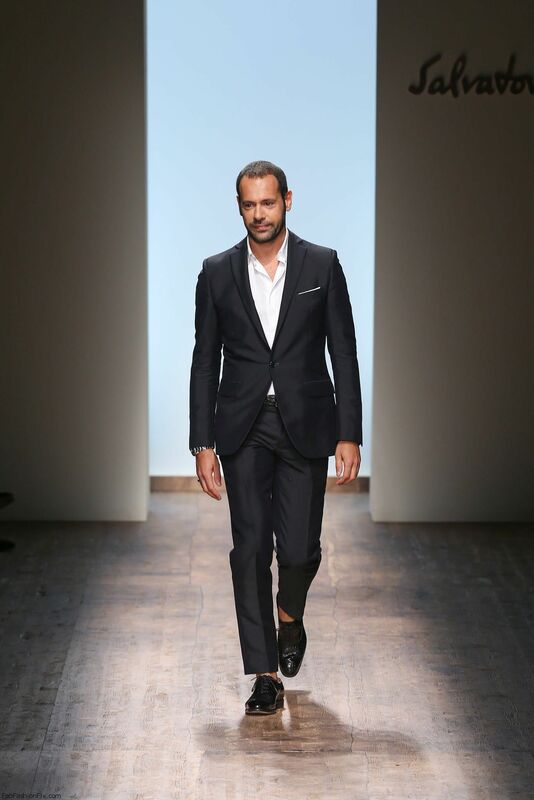 Italian luxury fashion house Salvatore Ferragamo presented their new spring/summer 2015 collection at Milan fashion week spring 2015. 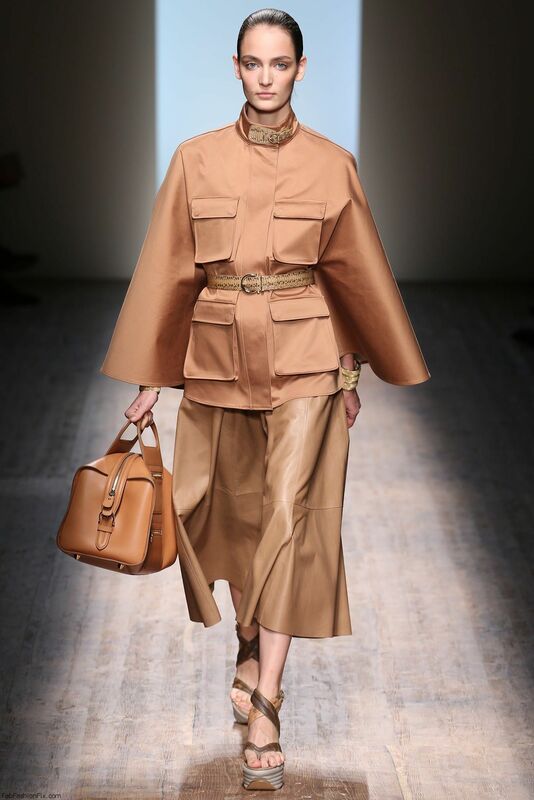 Creative director Massimiliano Giornetti describing this collection stated: “The new standard for luxury will be found in items that feel precious and are worked by hand”. 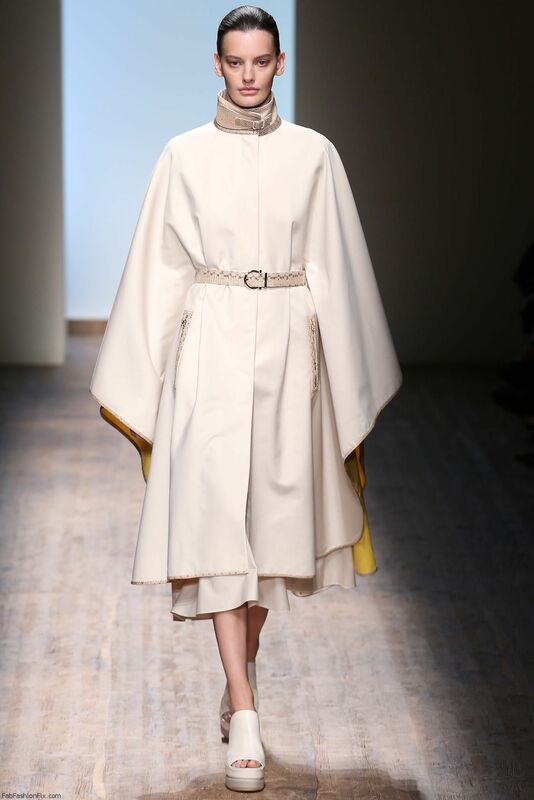 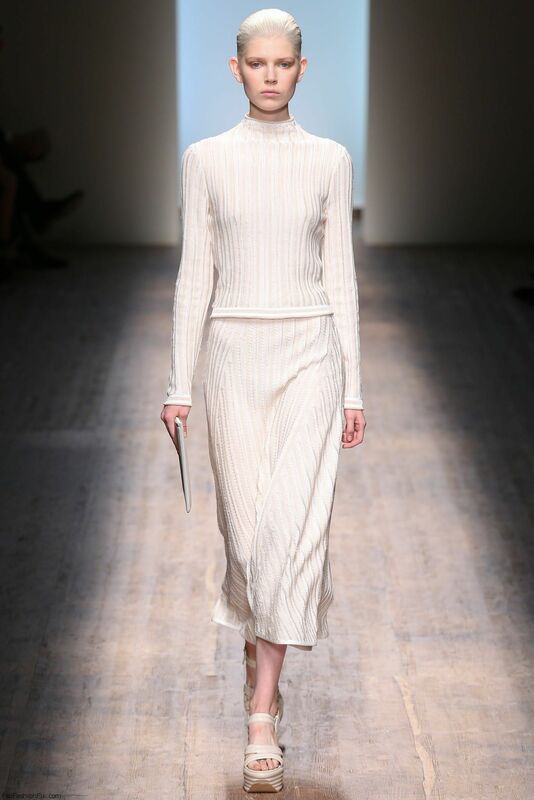 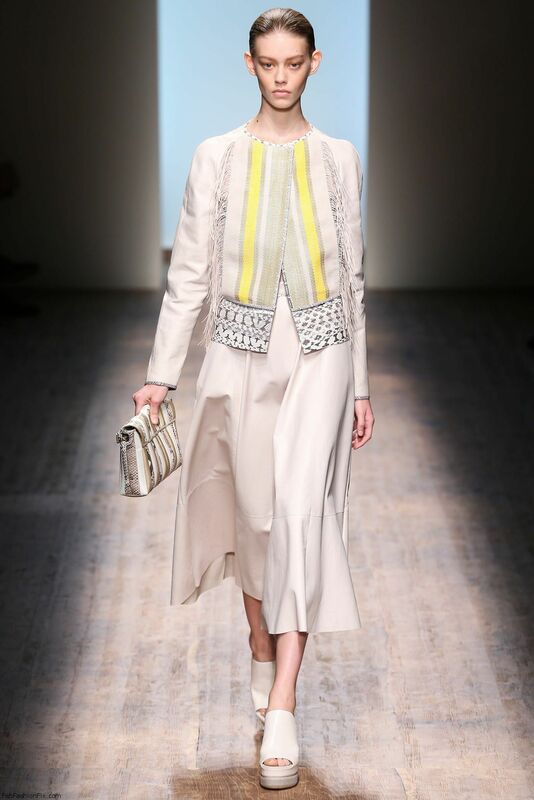 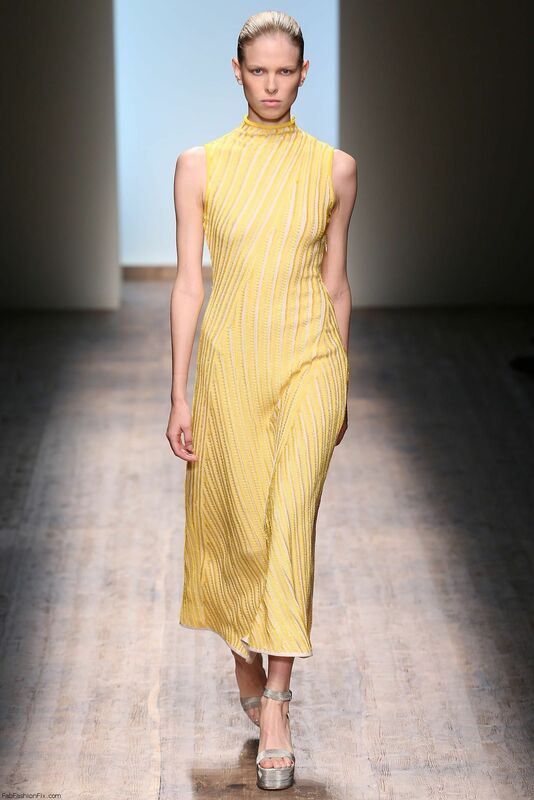 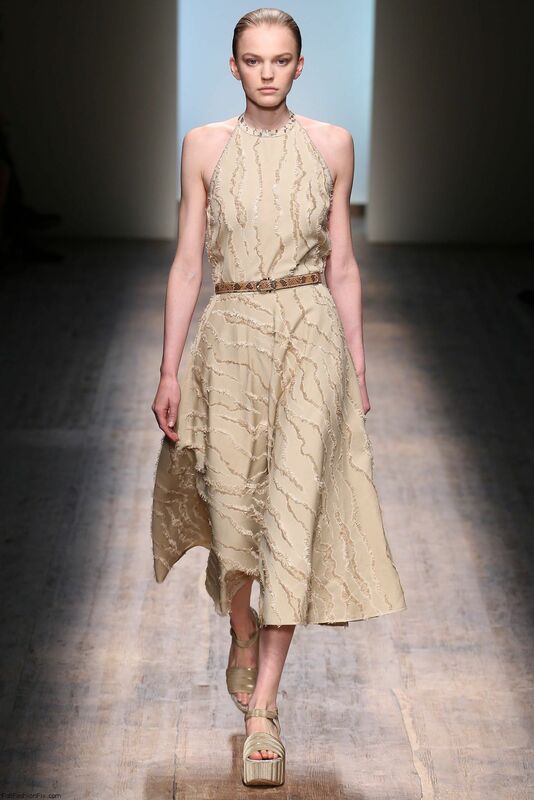 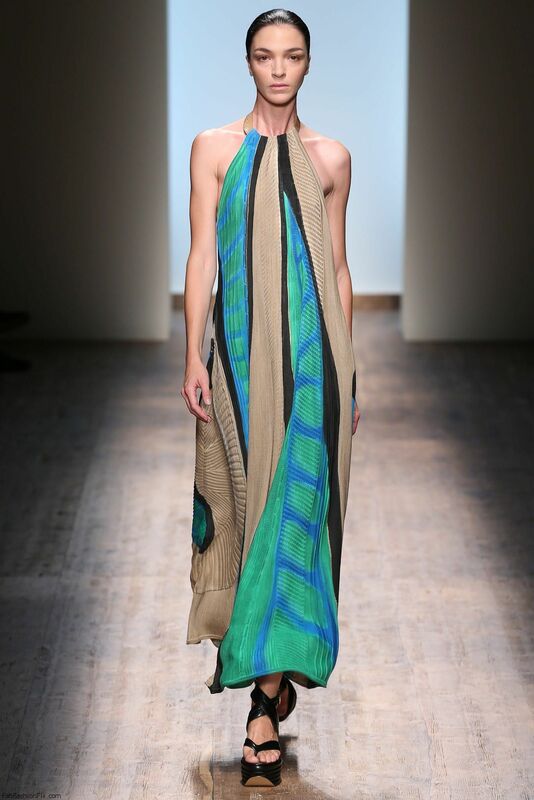 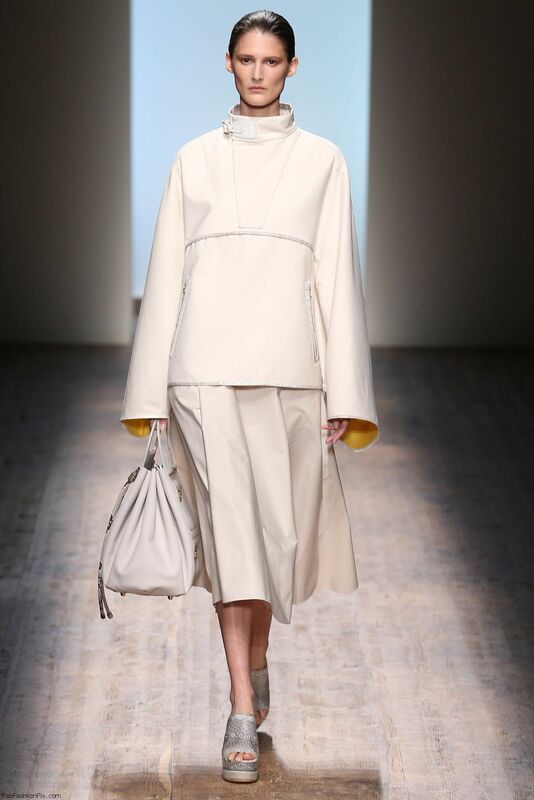 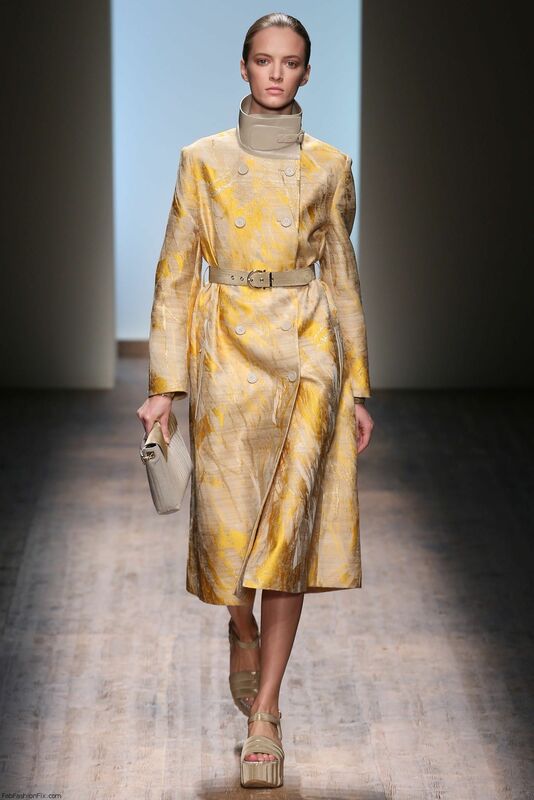 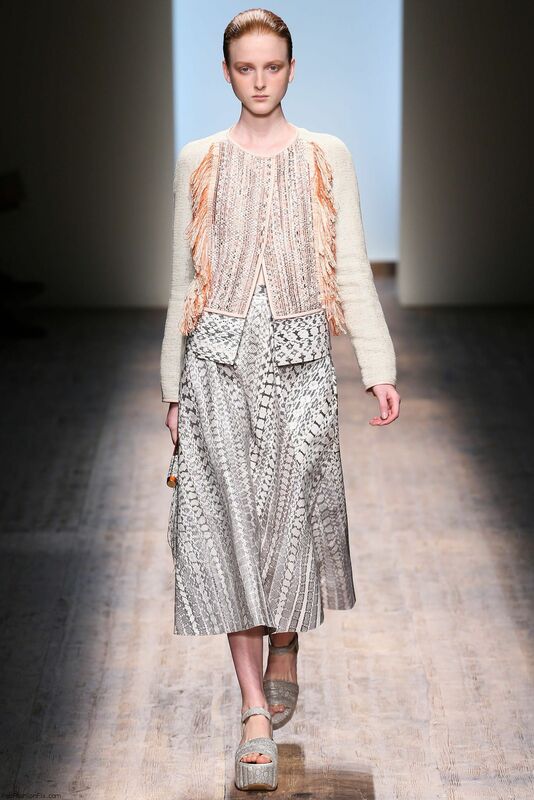 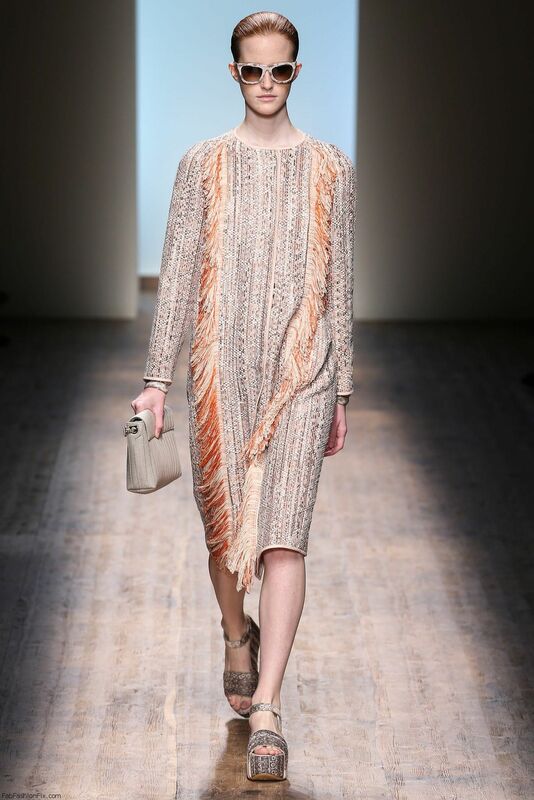 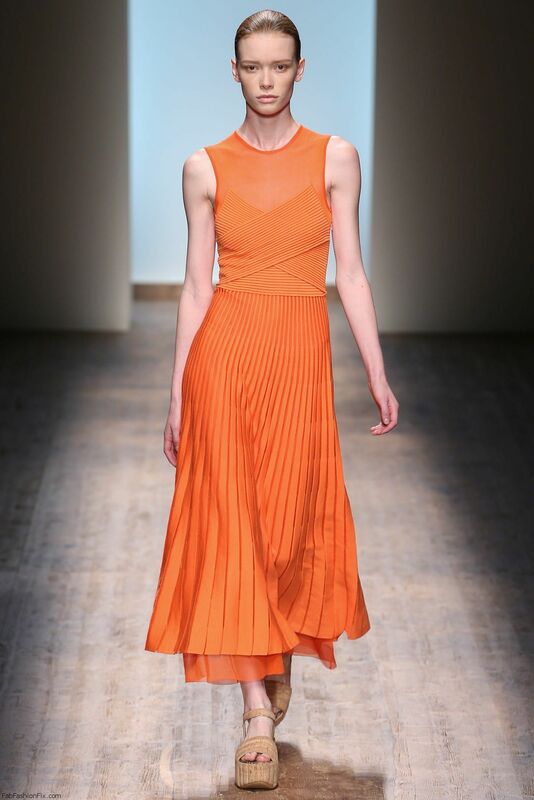 He focused on key knitted silhouettes as was designed in the past through the vintage Ferragamo collections. 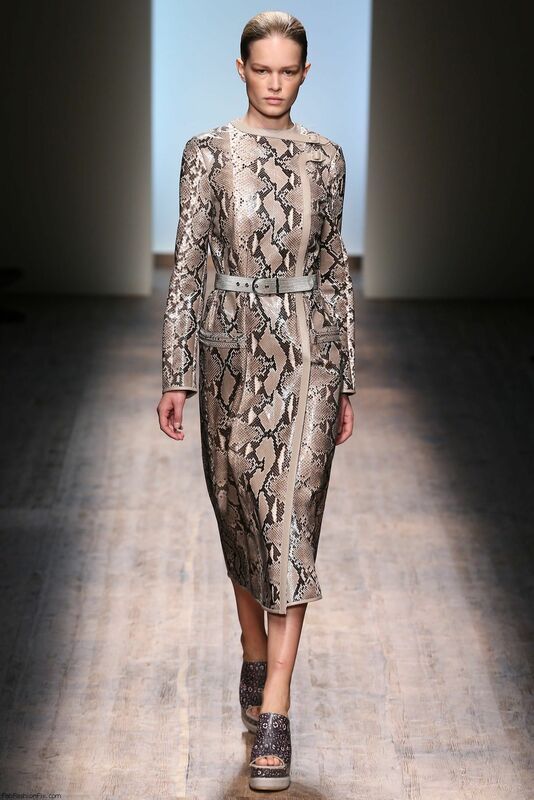 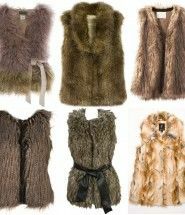 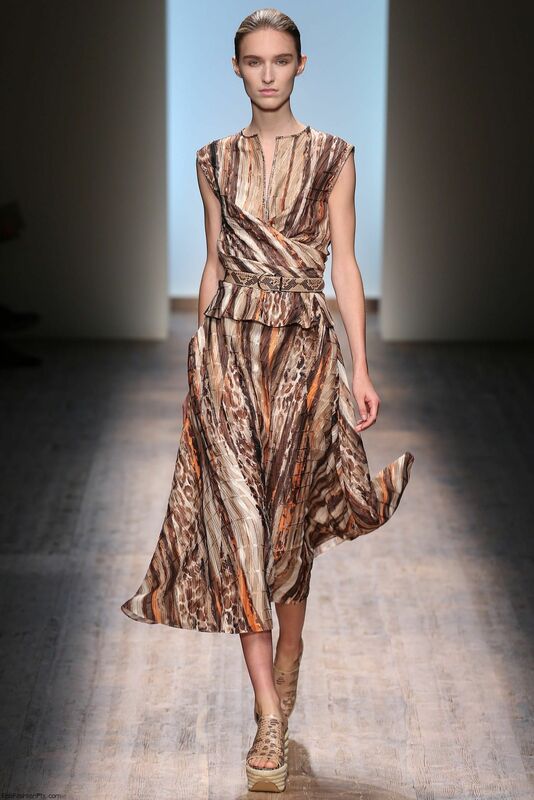 Dresses were flowy with gold and glitter shimmer details while the coats were A-line but with animal prints. 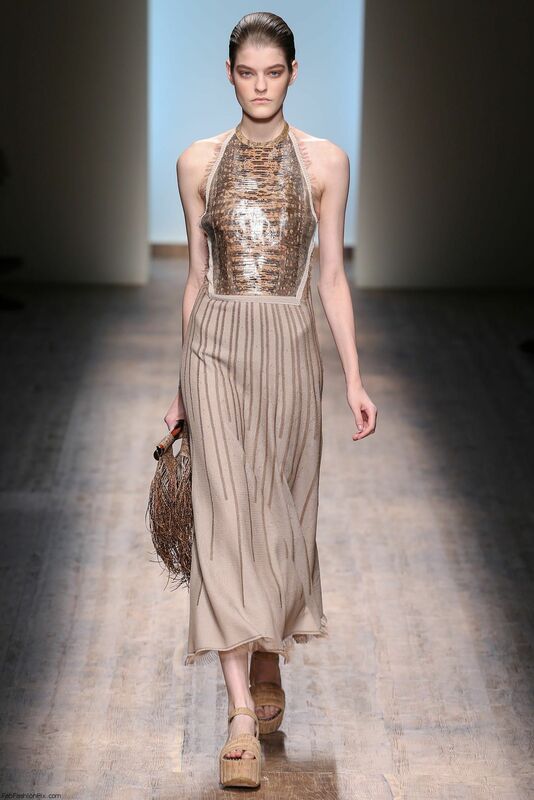 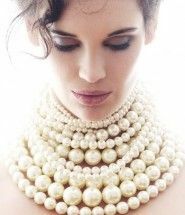 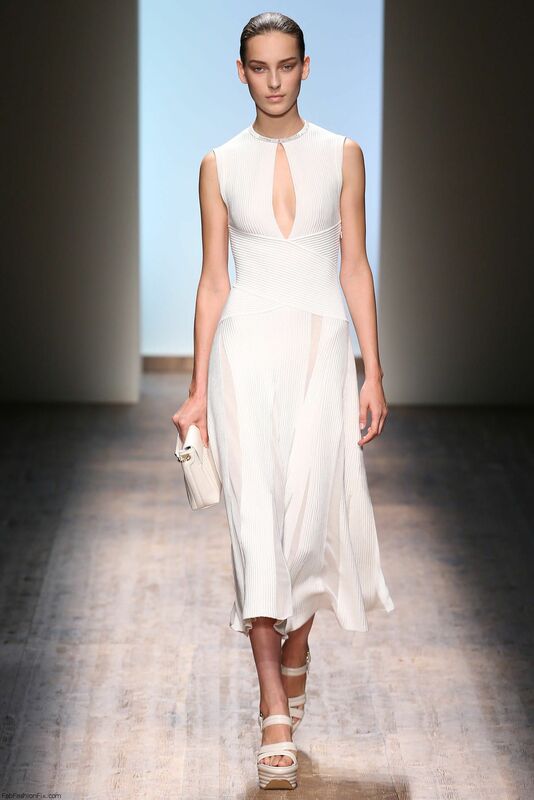 The whole collection exuded timeless elegance and sensuality.